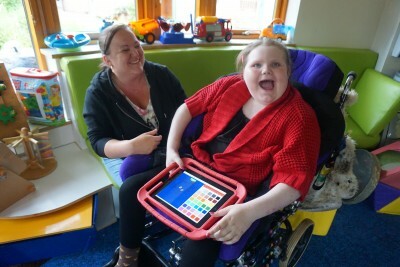 A UK charity recently welcomed children’s hospice staff from across the British Isles to a free conference to learn about the potential impacts of assistive technology on life-limited and disabled children. Lifelites donates and maintains assistive technology for children and young people in every children’s hospice across the British Isles. Part of their work is to provide free training and technical support to the care staff to encourage them to use the technology to its full potential for the children they care for. The charity focuses on using technology to give these children opportunities they wouldn’t otherwise have to play, be creative, control something for themselves, and communicate, for as long as it is possible. The technology ranges from highly specialist equipment like the Eyegaze, to more conventional equipment like iPads, which they develop with accessories and software to be more suitable for children with a range of special needs. The fully booked conference, which is now in its 11th year, was an opportunity for over 50 staff to network, share best practice, experiment with the technology on offer and think about its possible applications for the children they work with. Every second counts for these children and their families, so one of the sessions focused on using the iMovie software to record precious memory videos which their families can treasure forever. Delegates were also shown how the equipment, which is lightweight and portable, can be used when visiting patients in the community. As well as hearing from representatives of the charity themselves, delegates were given the opportunity to play with the new Xbox Adaptive Controller, as part of a talk from Hector Minto, the Technical Evangelist from Microsoft. The Adaptive Controller is the first mainstream gaming controller which is fully adaptable and can be used by people with disabilities. Lifelites donates them to every children’s hospice across the British Isles, along with other games controllers, consoles and games. Delegates also heard from the charity’s patron, Sarah Ezekiel, who has Motor Neurone Disease (MND). Sarah discovered she had MND when she was pregnant with her first child, and struggled to come to terms with her diagnosis, particularly when she lost her ability to communicate. Since discovering Eyegaze, her life has changed and she is keen to show others the benefit of the technology. She is passionate about the impact it can have on the children Lifelites supports and spoke to delegates about how it has completely changed her life and allowed her to become an artist. You can watch a video to find out more about the day here. THIRUVANANTHAPURAM, INDIA: In its effort to provide assistive technology to people with motor disabilities, International Centre for Free and Open Source Software (ICFOSS), an organization under state IT department, will collaborate with AsTeRICS Academy in Austria. The European academy will support ICFOSS in developing its capabilities in a range of assistive tools to support individuals with mobility disabilities for using computers and other electronic equipment. An Austrian group consisting of two technologists from the University of Applied Sciences Technikum Wien is currently in the city in connection with Swatantra 2017, the two-day triennial free software conference being organized by ICFOSS. The team will lead a workshop from Monday at ICFOSS in Technopark for assembling and production of various products they have developed. “This will be a milestone in Kerala’s efforts in using assistive technology for the welfare of the masses, especially marginalized sections of the society,” said IT secretary M Shivasankar. “ICFOSS is poised to take a lead in this regard and it has already established a research facility jointly with College of Engineering Trivandrum,” he added. One of such technologies is FlipMouse that acts as an alternative input device for challenged people who prefer or need other input variants than a standard computer mouse or keyboard. Using a FlipMouse, keyboard and mouse activities can be created via slightest finger or mouth interaction. This enables precise control of computer mouse or keyboard actions. Click activities can be created via sip and puff activities, or by attaching external switches to the device. This can be used to control wheelchairs, play games on computers and other activities. “These technologies and products will be offered to ICFOSS as a do-it-yourself construction kit,” said ICFOSS director Jayashankar Prasad. “This will help us in the production of the equipment at very low cost,” he added. CALGARY, ALBERTA: TOM: Alberta, a subsidiary of Kadima Dynamics, just concluded their third annual makeathon event. Local engineers and designers worked with people living with disabilities to create open-source solutions for everyday challenges. 15 multidisciplinary teams from Calgary worked together for a continuous 72 hours from August 24-27 to produce functional prototypes. The teams had access to fabrication equipment, materials, prototyping budgets, as well as guidance and mentorship from experienced designers. Other solutions developed at the event include a footcare device for individuals with spina bifida, a pressure sore prediction device for wheelchair users, a distraction-free communication device for young children with autism, and a treadcycle for bitransfemoral amputees. TOM is an Israel-based global organization that facilitates grassroots events like this one around the globe. ‘Tikkun Olam’ is a Hebrew concept that means “repairing the world”. Since its founding in 2014, TOM makeathons have come to San Francisco, Sao Paolo, Tel Aviv, and Saigon. 15 functional prototypes were developed at the makeathon, that have since been made open-source through TOM’s repository. Refinement and support of these prototypes is accomplished by a year-round community based at the University of Calgary, University Campus Ability Network, or UCan, a partnership between TOM:Alberta and Students’ Union Wellness Center. Individuals interested in getting involved should visit tomcalgary.com or e-mail tom@kadimadynamics.com. GENEVA, SWITZERLAND: Assistive technology – which groups together assistive products spanning from eye glasses and wheelchairs to sophisticated automated systems – is a critical and cost-effective tool that can enable full participation in daily life for millions of people. However, only 1 in 10 people in need have access to assistive products and no country in the world has a national policy exclusively focused on assistive technology. 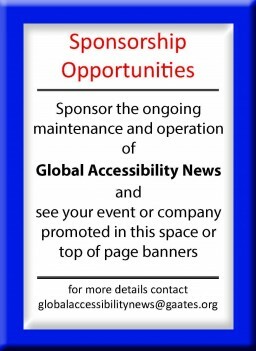 To address this gap, WHO is holding the inaugural Global Research, Innovation, and Education in Assistive Technology (GREAT) Summit on 3–4 August, gathering more than 150 of the world’s top researchers, innovators, and educators in the field. The GREAT Summit aims to further the global assistive technology research agenda, and to establish research collaborations, accelerate innovative education and certification, and showcase groundbreaking developments in assistive technology. The GREAT Summit is an initiative of the Global Cooperation on Assistive Technology (GATE), created by WHO in 2014 to spur progress towards a world where everyone in need has access to high quality, affordable assistive technology to lead healthy and productive lives. 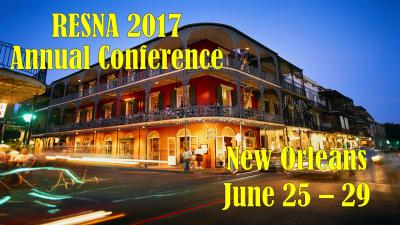 RESNA’s 2017 Conference, AT Innovations Across the Lifespan, will offer over 50 workshop presentations on best practices in assistive technology over three days, June 28, 29, and 30. IC#1 Full Day: Workflow automation: creating efficiencies for computer users with disabilities(0.75 CEUs): During this hands-on course, you will create software shortcuts to automate repetitive tasks. These shortcuts significantly increase productivity for anybody — but particularly for people with physical, sensory, motor, and learning disabilities. 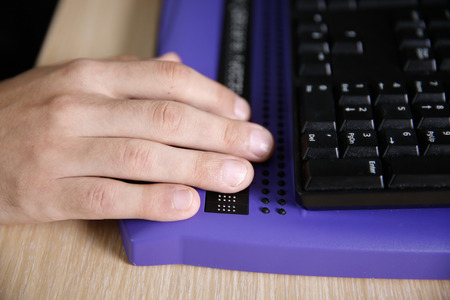 Topics: – Fundamentals of keyboard access to Windows. (Essential skills for computer access specialists.) – Macro Express and AutoHotkey. – Keyboard remapping, e.g., add a “Tab” key to the right side of the keyboard, or “Backspace” to the left side. – Software customization, e.g., add hotkeys and clickable objects to standard applications. – Super shortcuts: Workflow automation using all the techniques introduced in this course. IC#2 Full Day: Becoming An Assistive Technology “Maker” – A Hands-on Fabrication Workshop* (0.75 CEUs): The “Makers Movement” continues to gain moment nationally. Local, state and regional “maker spaces” are popping up across the country in order to fabricate device and products in a timely fashion. This workshop embraces rapid fabrication techniques using an assortments of sustainable and reusable materials for creation of assistive technology devices that can be used in multiple ways to maximize independence at home, work, school, and play. This hands-on fabrication workshop will discuss, demonstrate and provide participants with new tools, materials, and techniques for fabricating hundreds of assistive technology devices in minutes. In addition, participants will fabricate six different multiuse devices. IC#3 Full Day: The essence of the WHO Wheelchair Service Training Package- Basic Level(0.75 CEUs): The International Society of Wheelchair Professionals developed a combined online and in-person training, the Hybrid Course, based on the World Health Organization (WHO) Wheelchair Service Training Package – Basic Level. The purpose of the Hybrid is to decrease the cost of training and increase the number of people trained worldwide. 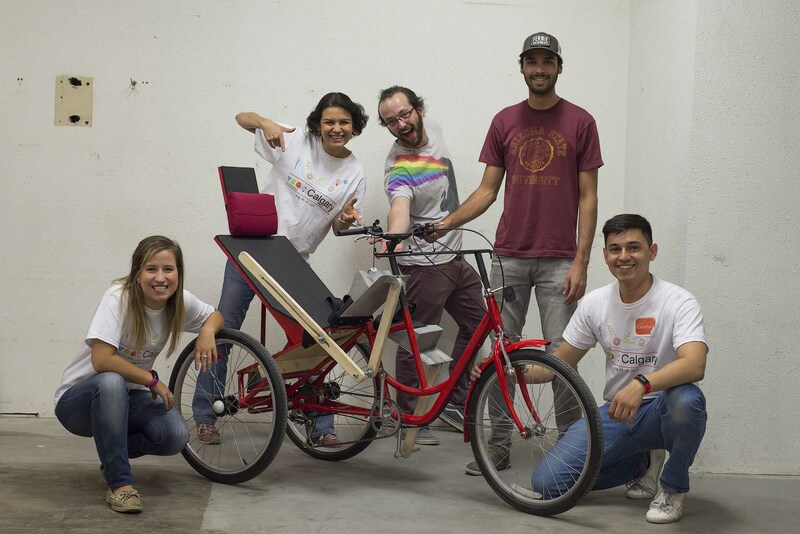 The Hybrid was piloted in India, Mexico, Colombia, and the USA and proved to be an effective approach in increasing knowledge on basic wheelchair provision. This instructional course was designed to be suitable for pre-conferences and reach participants interested in updating their skills and knowledge according to the WHO guidelines. IC#5 Half Day Morning: The EADL Experience(0.375 CEUs): Electronic Aids to Daily Living (EADL) offer Patients enhanced independence, quality of life, and safety. Unfortunately these systems can be expensive, involve a complex installation, and are not covered by insurance. For these reasons it can be difficult to trial and recommend the most appropriate EADL systems for Patients. This Instructional course will provide a detailed overview of traditional EADL systems and consumer electronic solutions. Additionally, participants will be given the opportunity for hands on setup and usage of various EADL systems related to specific case studies. IC#6 Half Day Morning: Speech Recognition as AT for Writing: A Guide for K12 Education(0.375 CEUs): While the technological challenges of speech recognition (SR) have been overcome in the last ten years through the power of cloud computing, the pedagogical challenge of teaching K-12 students to use SR for writing has not been adequately addressed. A scaffolded teaching approach is needed. This intensive course unpacks SR through the lens of the AT process. Our motto is “You don’t know until you try it!” Consideration leads directly to 8 scaffolded steps for teaching SR to children. Assessment strategies are embedded in each teaching step to document effectiveness. Implementation and progress monitoring strategies round out the AT process. IC#7 Half Day Afternoon: Measurement Approaches and Tools for the Accessibility of the Built Environment(0.375 CEUs): Numerous assessments exist to measure accessibility of built environments, both residential and public. Comprehensive assessment is a complex process integrating how space is used along with design elements for optimal function. This instructional course provides a history of accessibility assessment, a review of current and developing assessments, and hands-on opportunities to trial current tools and preview state-of-the-science products designed for mobile devices. A group of experts in accessibility and universal design assessment will lead discussions around practical implications of inter-professional teams and collaborations with different stakeholders. Take home materials specifically designed for this course will be provided. IC#8 Half Day Afternoon: Hands-On With 3D Design and Printing for Assistive Technology: Learn From 4 Expert Users in The Field(0.375 CEUs): This instructional course provides a hands-on introduction to 3D design & printing with examples from AT for ADLs, seating, toys and prosthetics. Low cost options for design software, 3D scanning and 3D printing will be discussed and a large hands-on period will allow trialing of this technology. 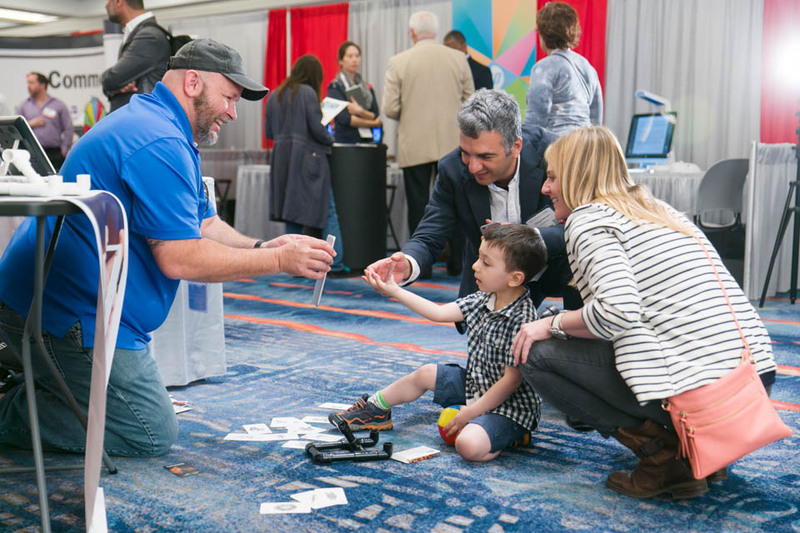 Attendees will be able to describe how 3D printing works, list use cases in ADL tech, seating, adaptive toys & prosthetics, justifications for using 3D printing and low cost ways to access 3D design & printing. 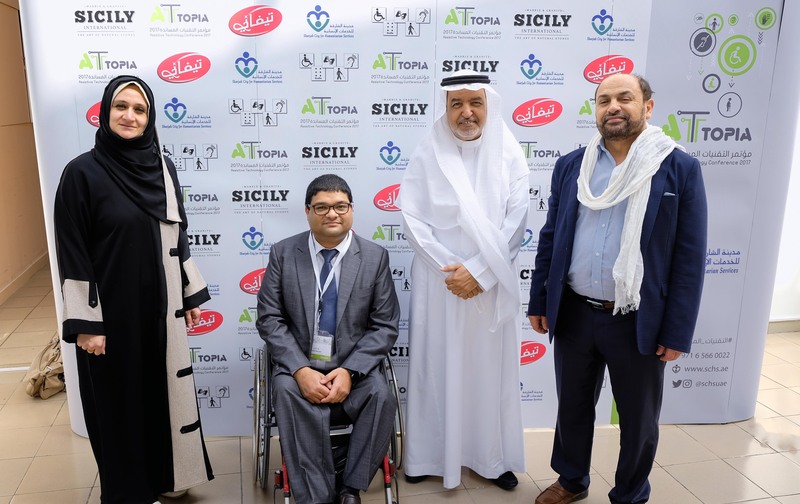 SHARJAH, UAE: The Global Alliance on Accessible Technologies and Environments (GAATES) is participating in International Conference on Assisitive Technology 2017 (AT TOPIA), March 9-11, in Sharjah, UAE to discuss Assistive Technology for persons with disabilities and older people and it’s future development based on their needs. This conference is organized by the Sharjah City for Humanitarian. The conference aims to raise awareness among persons with disabilities, their families, professionals, and educators regarding Assistive Technology in the region. Experts in Assistive Technology are participating in the conference from the UAE and internationally. SHARJAH, UAE: The Assistive Technology Conference AT TOPIA 2017, which will take place in Sharjah, UAE, March 9-11, 2017 at the Sharjah Expo Center, organized by Sharjah City for Humanitarian Services. The coference will provide the opportunity to present latest international evidence-based practices in the field of assistive technology. The conference aims to raise awareness among persons with disabilities, their families, professionals, and educators regarding Assistive Technology. Moreover, it will offer professional development opportunities through specialized workshops with hands-on experience, besides demonstrating latest assistive technology devices and tools. Experts in Assistive Technology will participate in the conference from the UAE and internationally. The conference’s annual Strache Leadersehip award will be given to University of Colorao at Boulder computer science professor Clayton Lewis, to recognize his work in education and research in the field of disabilities. Lewis will receive the honor at the keynote address on Feb. 28. 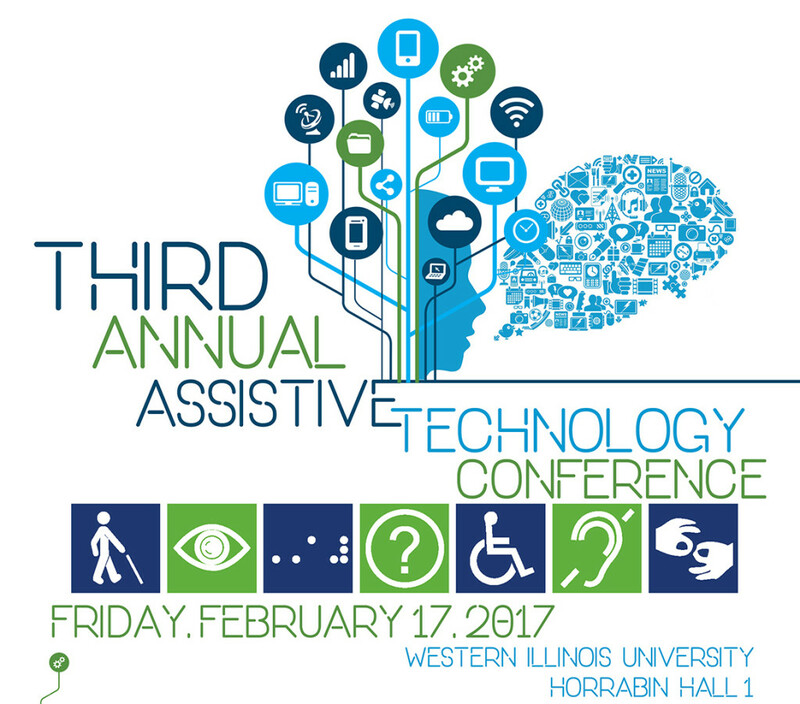 MACOMB, IL: Western Illinois University will host the third annual Assistive Technology Conference from 8 a.m.-3 p.m. Friday, Feb. 17 in Horrabin Hall, room 1. The conference is presented by Infinite Potential Through Technology (INFINITEC) and sponsored by the WIU Department of Curriculum and Instruction, the Council for Exceptional Children and a grant from the Illinois State Board of Education. There is no registration fee, and free parking is available. 8-9:45 a.m. – Overview of Assistive Technology for Reading and Writing: Under IDEA 2004, there are five areas that must be considered for students with disabilities. While most are related to a specific disability (e.g., visual impairment or behavior), only one of the five must be considered for all students, regardless of the type or severity of disability: Assistive Technology. Whether it is communication, access to the computer and curriculum, writing, reading, mobility or activities of daily living, this presentation will highlight how and when technologies become assistive technology. An overview will be provided of the legal requirements related to assistive technology, as well as define assistive technology device and assistive technology service. In addition, the new Illinois Assistive Technology Guidance Manual and technical support website will be shared. This presentation will introduce participants to a continuum of assistive technology tools to support reading and writing. 10-11:45 a.m. – Web Resources to Build Your Universal Design for Learning Tool Kit (For Elementary Students): This hands-on presentation will introduce participants to websites and web tools that support Universal Design for Learning (UDL). The three basic tenants of UDL, multiple means of representation, multiple means of expression and multiple means of engagement will be defined in terms of the practical application of the internet. These web-based supports will include reading, writing and math for your elementary students. 11:45-1 p.m. – Lunch break – Participants will be responsible for finding their own lunch. 1-3 p.m. Socially and Emotionally Prepared – Strategies to Teach Social/Emotional Skills: This training will provide strategies and supports for students who have difficulty demonstrating age appropriate social skills and may become emotional. Technology resources and examples will be included. Six CPDUs will be available free for all professional participants. To register for the conference, visit goo.gl/zd4VL9. MISSOULA: Nine fellows from Laos, as part of SportsUnited, learned about assistive technology during their visit to the University of Montana in November. MonTECH, housed in UM’s Rural Institute for Inclusive Communities, hosted the visit in partnership with the Maureen and Mike Mansfield Center at UM. As part of their on-campus experience, the fellows toured MonTECH’s demonstration lab and learned about the assistive technology resources available to Montanans. The fellows became acquainted with the assistive technology in MonTECH’s lab, while learning about efforts to make many aspects of life as accessible as possible for people with disabilities. The fellows learned about vision, computer access and communication technology, and screen-reading technology for smart phones and computers. They saw the use of the technology to share stories through pictures. That idea hit home deeply for many of them, especially since most do not speak English well and were experiencing what it felt like to not be understood for the first time in their lives while traveling here. For more information on the international fellows visit, call Goldman at 406-534-5769 or email anna-margaret.goldman@mso.umt.edu.